Ah, Christmas: Good tidings, sleigh bells, reckless consumer spending and seasonal beers. To the surprise of no one involved, many of us prefer the latter. For those folks, there is New Albanian Brewing Company‘s Naughty Claus, rolled out last week around Louisville. I made the drive to NABC’s Public House to enjoy a pint and some breadsticks with my girlfriend this past weekend, and I have to say that Dave Pierce and his brewing team over at New Albanian did it up right. To be bluntly honest, I’m actually not usually a fan of Christmas beers — I find that too often breweries overdo the spices in order to make the beer more … well, Christmasy, if you will. 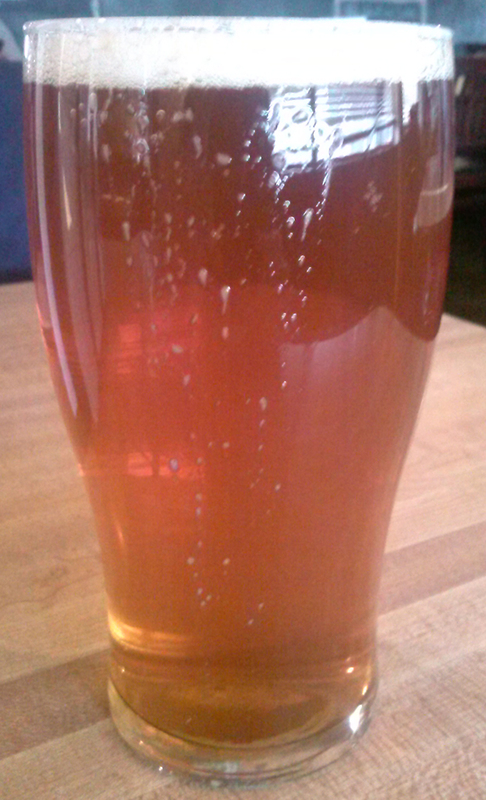 The same goes for a lot of the pumpkin beers I’ve had. When it stops tasting like beer that is made with pumpkin and starts tasting like liquid pumpkin pie, that’s when they’ve lost me. 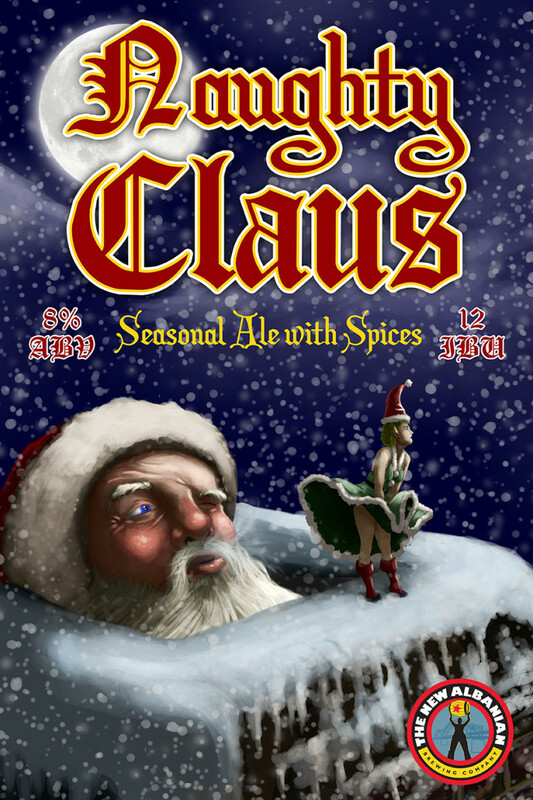 Naughty Claus is not one of those over-the-top brews; it is imminently drinkable, like a solid, mild pale ale that just happens to have that something extra to it. Even the tagline spells it out, calling the beer a “seasonal ale with spices.” So, while the medium body, slightly sweet malts and mild hop character (it’s only 12 IBU) take the lead here, you still get a sense of the ginger, cinnamon, nutmeg and orange peel within. Until next time, happy holidays and drink locally. Especially the beer.